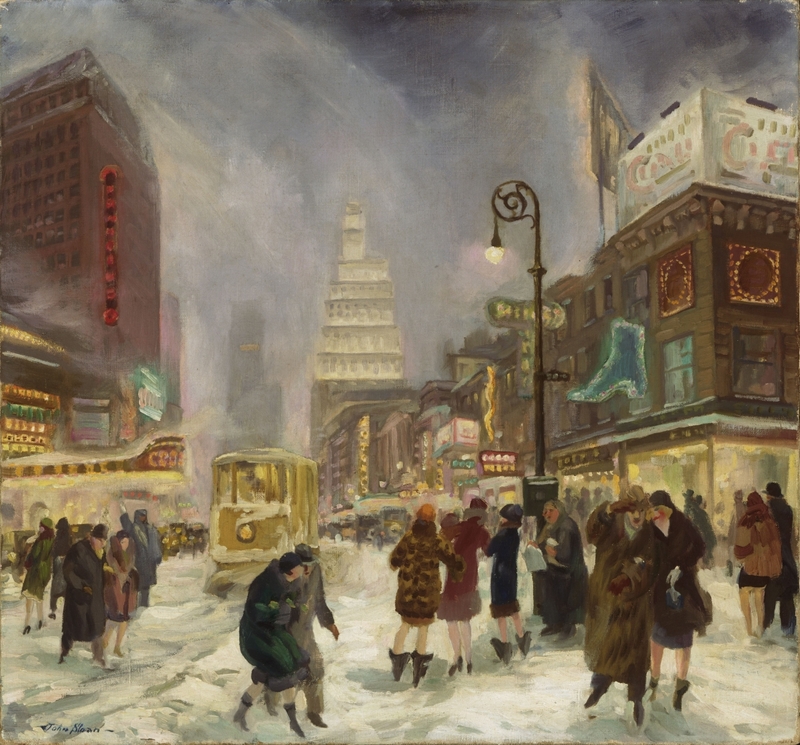 American artists in the first half of the twentieth century created a bold new artistic language to capture the essence of modern life. This wide-ranging exhibition reframes examples of American Modernism in the collection, with an emphasis on painting and sculpture, along with select examples of prints, drawings, photographs, decorative arts, and costumes. It features works by internationally acclaimed artists from the circle of the photographer and gallerist Alfred Stieglitz, such as Georgia O’Keeffe, Marsden Hartley, and Arthur Dove, along with equally significant if lesser-known artists who contributed to the art of their day. 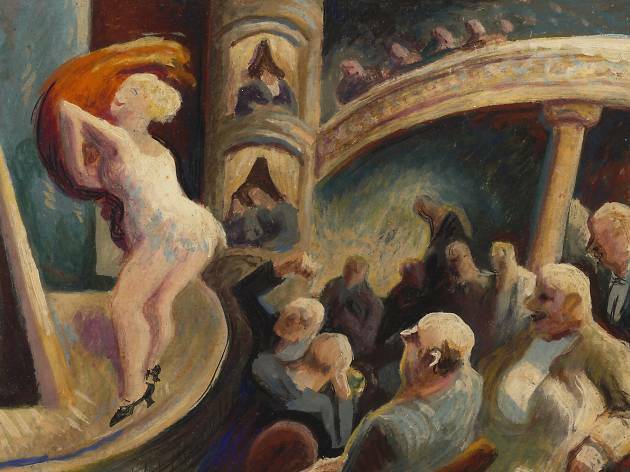 The exhibition also explores modernity from a less formal angle, focusing on work by artists who were drawn to depict modern amusements and moments of daily life, from burlesque performances and beach scenes by Reginald Marsh and George Bellows to vignettes of people quietly occupying public spaces by Ben Shahn and Jacob Lawrence. 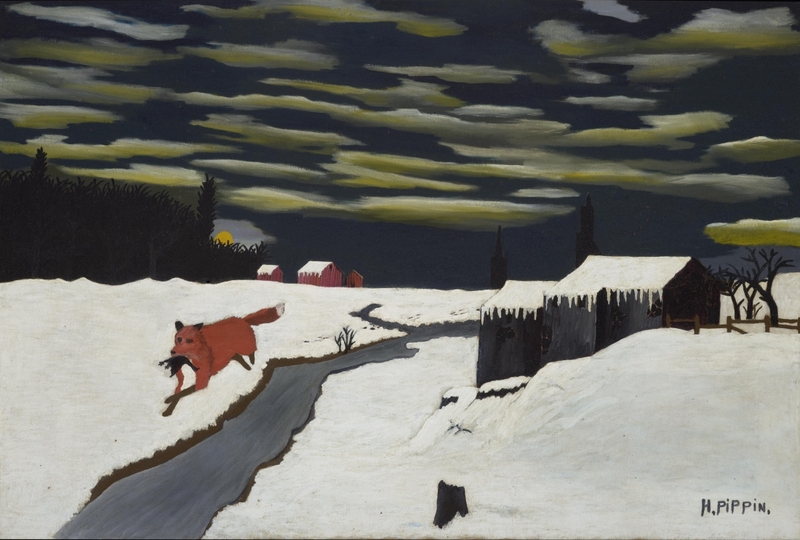 The newest acquisitions to be included are two paintings by Horace Pippin and the singular work, Road and Trees by Edward Hopper. The Museum will publish a catalogue in conjunction with the exhibition, co-published by Yale University. Pertaining to Yachts and Yachting, 1922, by Charles Sheeler, American, 1883 – 1965. Oil on canvas, 20 x 24 1/16 inches (50.8 x 61.1 cm). Philadelphia Museum of Art: Bequest of Margaretta S. Hinchman, 1955-96-9. Neighbors, 1951, by Charles Sheeler, American, 1883 – 1965. Oil on canvas, 18 x 15 inches (45.7 x 38.1 cm); Frame: 26 1/2 × 23 1/2 inches (67.3 × 59.7 cm). Philadelphia Museum of Art: Gift of C. K. Williams, II, 2015-8-2. 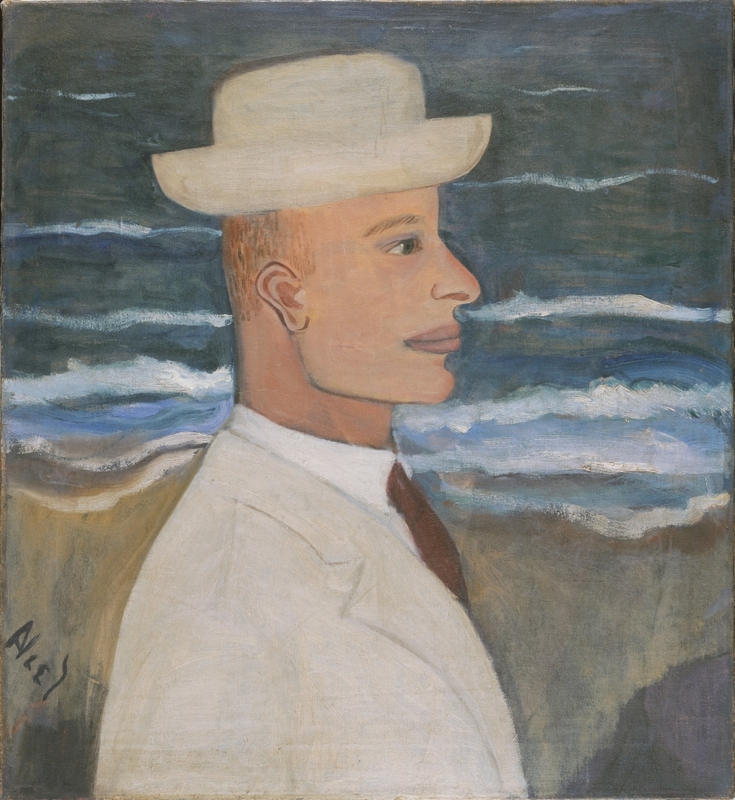 Portrait of James Baldwin, 1945, by Beauford Delaney, American (active Paris), 1901 – 1979. Oil on canvas, 22 x 18 inches (55.9 x 45.7 cm). Philadelphia Museum of Art: 125th Anniversary Acquisition. Purchased with funds contributed by The Daniel W. Dietrich Foundation in memory of Joseph C. Bailey and with a grant from The Judith Rothschild Foundation, 1998-3-1. Something on the Eight Ball, 1953-1954, by Stuart Davis, American, 1892 - 1964. 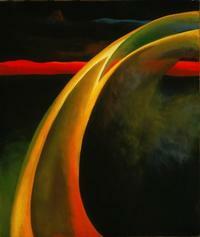 Oil on canvas, 56 × 45 inches (142.2 × 114.3 cm). Philadelphia Museum of Art: Purchased with the Adele Haas Turner and Beatrice Pastorius Turner Memorial Fund, 1954-30-1. © Estate of Stuart Davis / Licensed by VAGA, New York. View from Ship, c. 1932, by Jan Matulka, American (born Czech Republic), 1890 - 1972. Oil on canvas, 36 x 30 inches (91.4 x 76.2 cm). 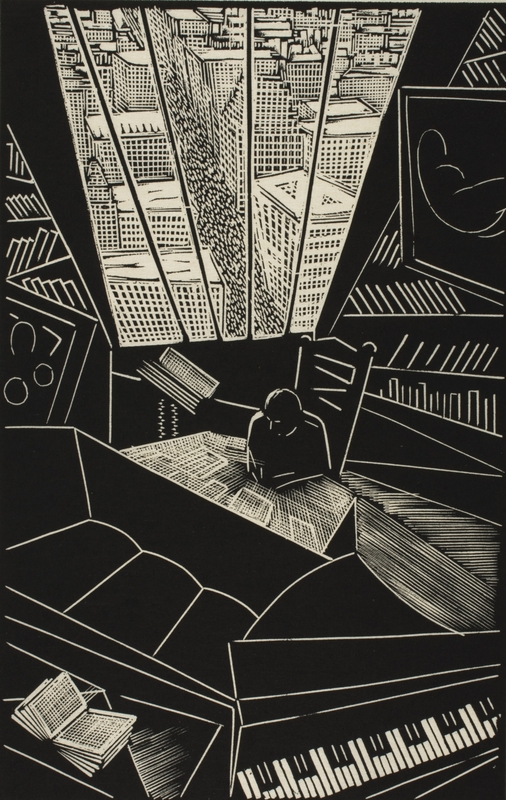 Philadelphia Museum of Art: Gift of C. K. Williams, II, 2015-8-1. © The Estate of Jan Matulka. An exhibition in Philadelphia, from April 18 to Sept. 3, 2018, explores the creative responses of American artists to the rapid pace of change during the early twentieth century and the new visual language that emerged. 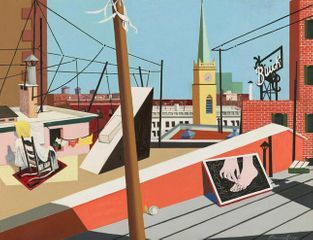 This spring, the Philadelphia Museum of Art will present an exhibition exploring the creative responses of American artists to the rapid pace of change that occurred in this country during the early decades of the twentieth century. Modern Times: American Art 1910–1950 examines the new and dynamic visual language that emerged during this period and had a dramatic impact on painting, sculpture, printmaking, photography, architecture, and the decorative arts. These developments were shaped by the dizzying transformations then occurring in every aspect of life, from the advent of the automobile and moving pictures to the rapid growth of American cities and the wrenching economic change brought on by the advent of the Great Depression after a decade of unprecedented prosperity. 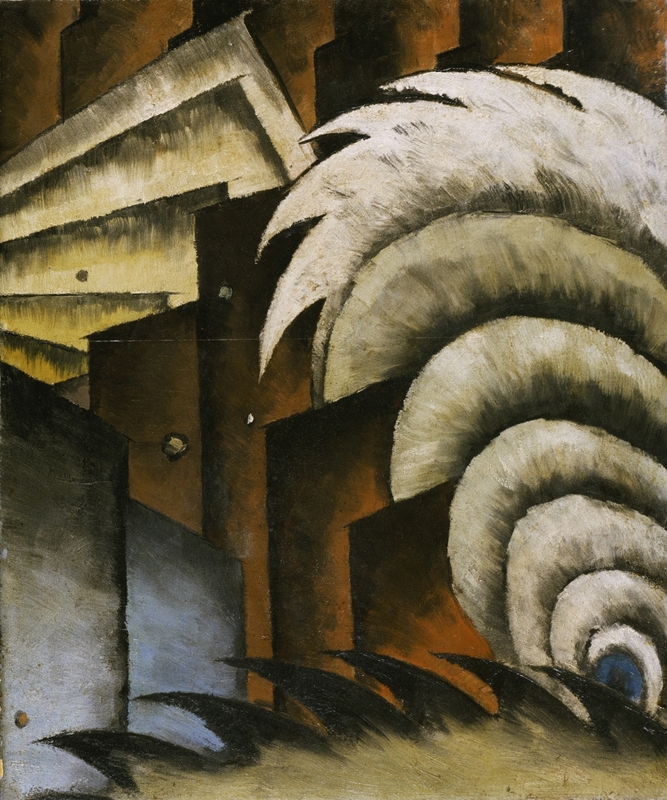 The exhibition will feature important works by those artists—Georgia O’Keeffe, Marsden Hartley, Arthur Dove, and John Marin, among them—championed by the great photographer and gallerist Alfred Stieglitz, as well as many other notable figures of this period. Modern Times will be drawn almost entirely from the Museum’s renowned collection, especially the gift from the Stieglitz Collection that it received in the late 1940s, and will contain some 160 works, several of which will be on view for the first time. Landscape painting was, likewise, revolutionized by the artists of this generation, who found in this traditional genre a sustained source of inspiration. The adaptation of the modernist vision to one of the most enduring themes in American art can be seen most dramatically in works by O’Keeffe, Hartley, and Arthur Dove. Others, such as Sheeler, took the stark, yet impressive geometry of the new industrial landscape as a point of departure. The exhibition also examines another familiar subject, the human figure, which proved to be of abiding interest to the artists of this generation. Included in this rich and fascinating section is a group of portraits by artists such as Milton Avery, Beauford Delaney, and John Graham. 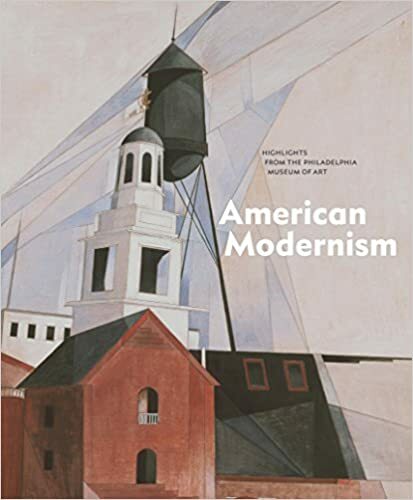 The exhibition is accompanied by a new publication, American Modernism: Highlights from the Philadelphia Museum of Art, by Jessica Todd Smith. It is published by the Philadelphia Museum of Art in association with Yale University Press ( 272 pp.) The title of the essay, “Seeing Takes Time” is inspired by a quotation of Georgia O’Keeffe: “Nobody sees a flower—really—it is so small—we haven’t time—and to see takes time .